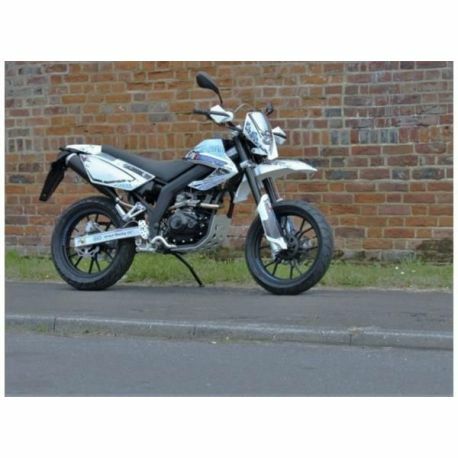 This Motard styled 125 is powered by a reliable, robust air-cooled CBF engine, mounted in an alloy delta-box frame. Other standard equipment includes; 28mm alloy "fat bars”, alloy handle bar clamps, stainless steel exhaust pipe, stainless steel foot pegs, aluminium swing arm, mono-shock rear suspension mounted on drop links, KYB forks, alloy rear brake pedal, gold O-ring chain, LED indicators and alloy wheels. 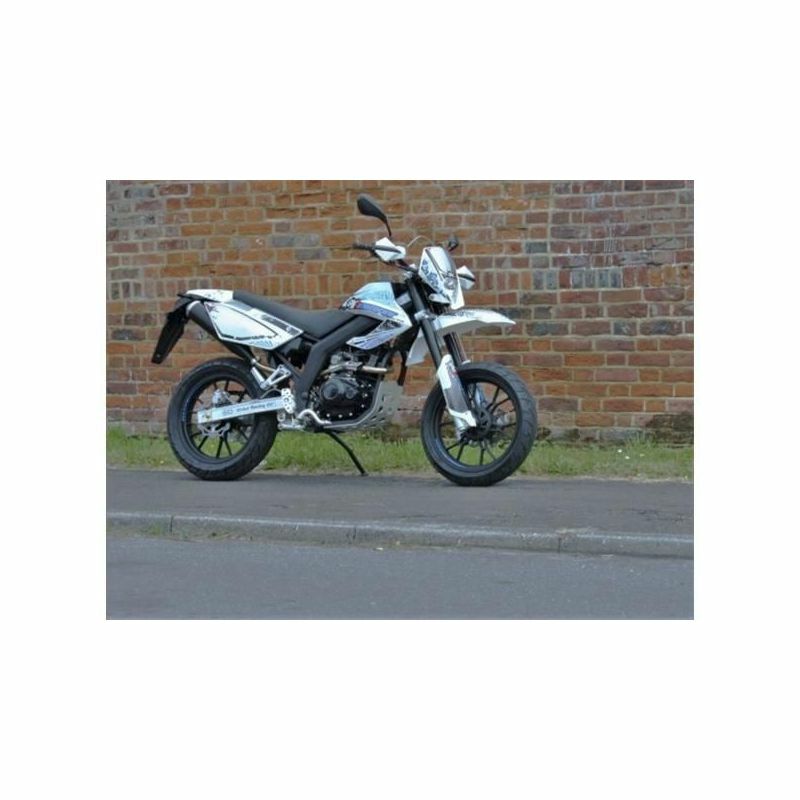 L plate legal from 17 years and comes with the standard Motorini 2-year warranty. If you like the SMR but want an Enduro style, take a look at the Motorini SXR.